Hi friends! My name is Tippy! Yippee! I am an AWESOME girl with the most delightful personality. I am about 9 months old and I have a cute little bobtail that makes me unique. I am happy to have a quality that stands out becaus it gets me a lot of attention, and boy, do I love attention! I don’t care from who, I like attention from people and the other cats and even the dogs who stop by my window to check me out; I’m positive I could live happily with one of those. Now that you mention it, there’s not a thing I can think of that wouldn’t make me happy because I just so joyful by nature! Can your house use a vibrant new addition? Then come check me out! I am fixed, vaccinated and microchipped. 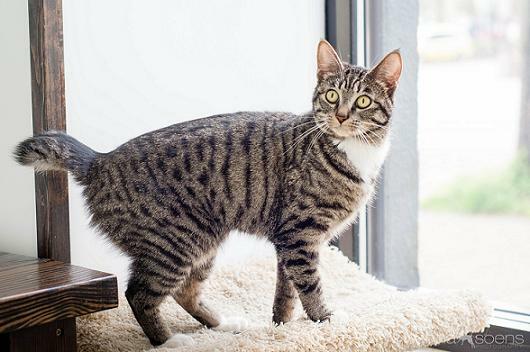 My adoption fee is $135 and I am currently living at the Pixie Project cattery.